I’ve been saving this one for now because it wouldn’t do to post two exhibitions at once, even though we did rush from one to the other on the same day. 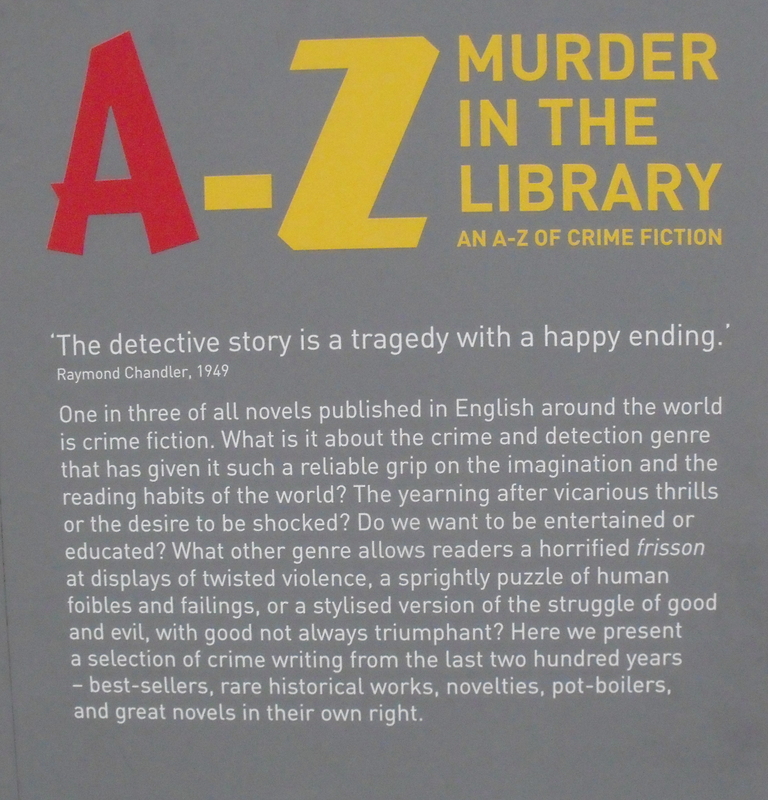 The British Library isn’t far from the British Museum, so we hurried up there to have a look at their Murder in the Library display, an A-Z of crime fiction which runs until 12 May. Below are some heavily-edited highlights. S is for Sherlock Holmes. 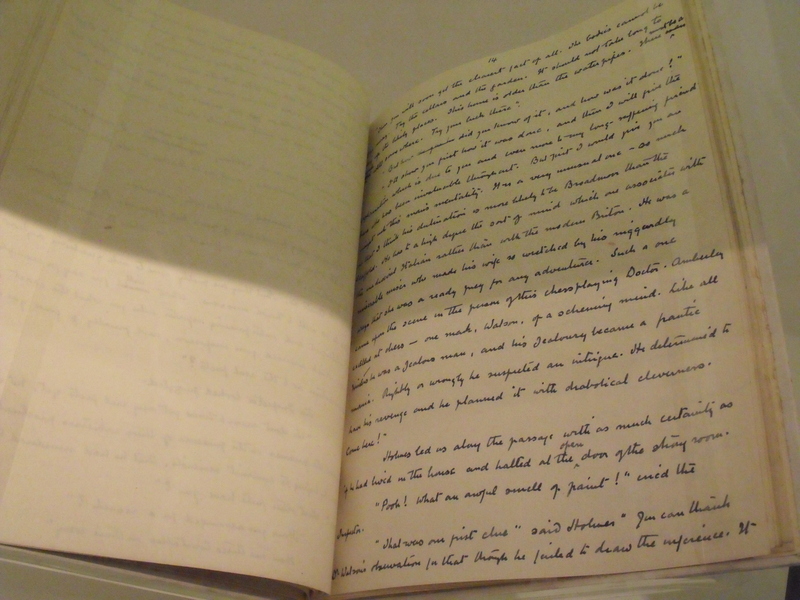 This manuscript of a Holmes story suggests that Conan Doyle was a much neater and more decisive writer than some of us. To be fair it wasn’t clear whether this was the only draft or a final fair copy, but it does raise the question of whether our patterns of thinking have been changed by working with endlessly-tweakable text on screen. Incidentally, I’ve just finished reading Peter Guttridge’s “The Belgian and the Beekeeper,” where a detective not unlike Hercule Poirot meets Sherlock Holmes, now a retired recluse who keeps bees. 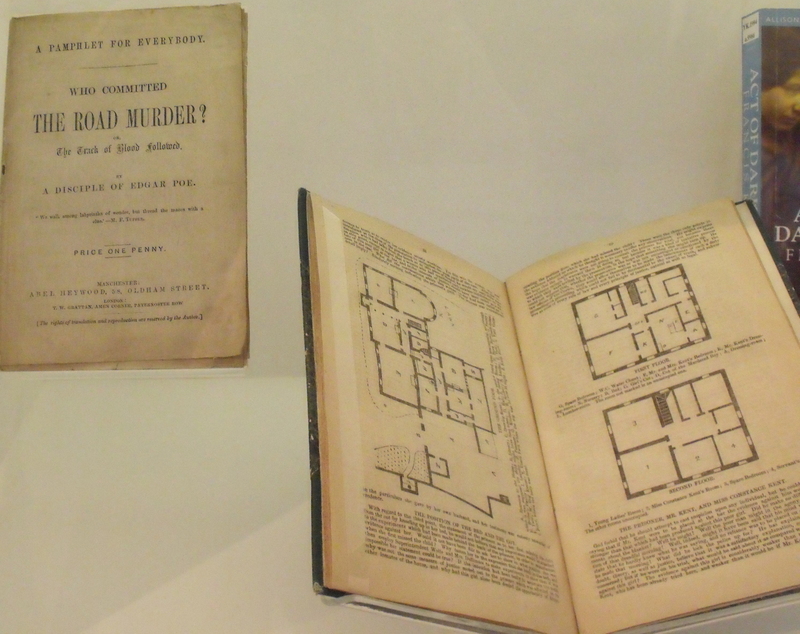 The newcomer suggests the Great Detective may have been somewhat naive about Doctor Watson’s intentions – why is Holmes now living in poverty while Watson is wealthy? Exactly how many wives DID Watson have, and what happened to them? Peter Guttridge exploits some of the inconsistencies in the Holmes stories to joyous effect. 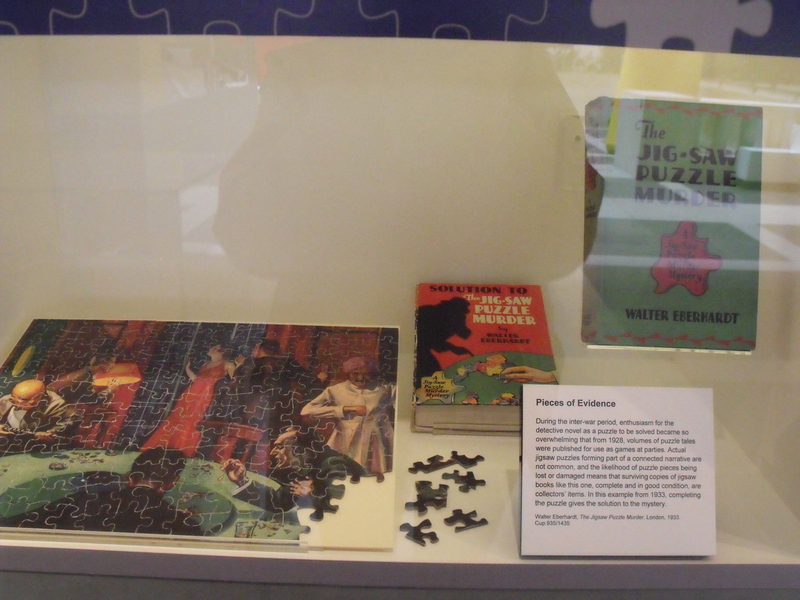 Do the jigsaw, solve the mystery. These aren’t unknown today, or at least they weren’t when a friend bought me something similar in a charity shop. 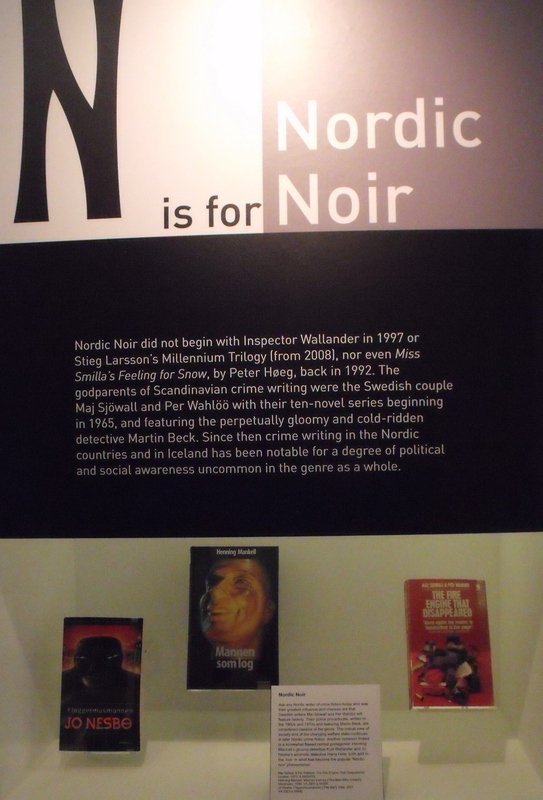 …which goes back further than some of us realise: Maj Sjöwall and Per Wallöö were publishing their Martin Beck novels in the 1960’s. …where M is for Morse, who gets a whole display cabinet to himself. 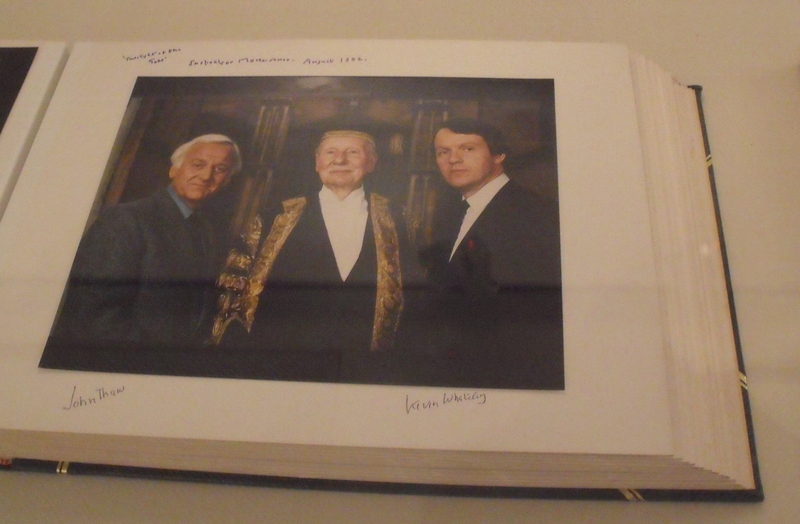 Here are three famous faces. Not shown is Colin Dexter, but I’m told he appears somewhere in every episode, which means I can no longer do the ironing during repeats as I have to see where. The quote from Raymond Chandler sounds much like an essay question. I will add one word. “The detective story is a tragedy with a happy ending.” Discuss. The ‘Dagger in the Library’ huh! Reminds me of my queries about the conference, Ruth. Me too! 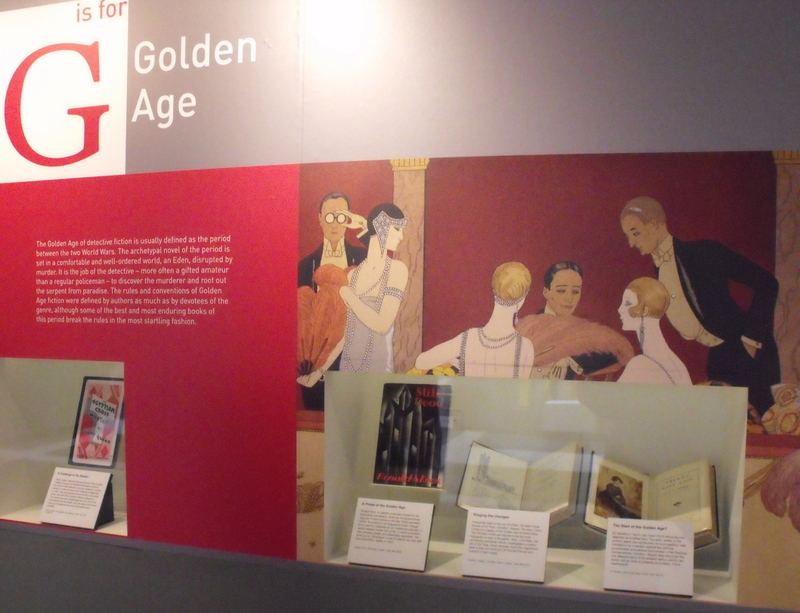 I’ve had to change the title to what the exhibition was really called, though. I’d mis-remembered (is that a word? 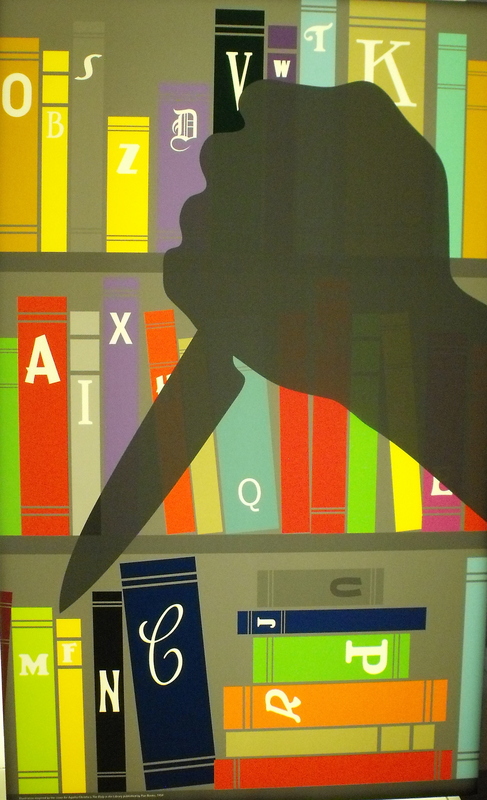 ), probably because the Crime Writers’ Association have just announced the longlist for the Dagger in the Library award.